Leading Manufacturer of aluminum heat exchanger pipe castings and aluminum casting for heat exchanger pipe from Faridabad. Our company specializes in manufacture of Aluminium Heat Exchanger Pipe Castings for direct use in assembly of heat exchanger pipe. 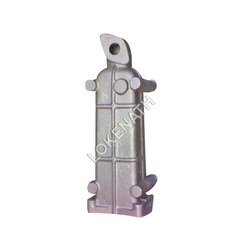 These aluminium sand castings are manufactured with accuracy and finishes that avoids need for machining. 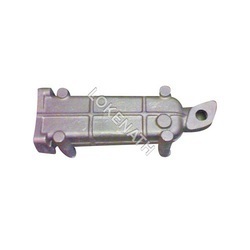 The castings have proper radii at all places to avoid corona effect during transmission of power. The castings are manufactured with due precautions to make them very sound to avoid sparking and pitting due to porosity/internal defects. Aluminium Casting for Heat Exchanger Pipe offeredis designed and developed using strong R&D and QC process so as to ensure tight control over the quality standards maintained in these castings. With expertise in matching up with the exact specifications as provided by the customers, our team can provide end solutions in different finishes like anodized, power coating, polishing and others. Some of its features include availability in different dimensions as per client's request, expertise in offering engineering consultation to customer submitted designs, capability of meeting OEM solution demands, expertise in meeting casting demands for industry sectors like petroleum, chemical industry, boiler and others. Looking for Heat Exchanger Pipe Castings ?